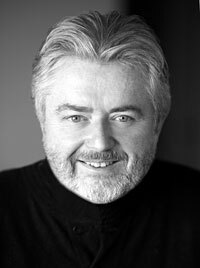 Dave Flynn & the Irish Memory Orchestra are delighted to announce renowned composer, producer and arranger Bill Whelan has joined our Orchestra Circle. With his generous support we have created a Bill Whelan Scholarship for our 2017 Apprentice Scheme. Four Bill Whelan Scholarships are on offer to outstanding musicians who complete our 2017 Apprentice Scheme. * Scholarships will be awarded based on the above criteria. In the unlikely event of there being any unawarded scholarships these will be brought forward to our next Apprentice Scheme. ** All apprentices need to pay the scheme fee before taking part, scholarship winners will be refunded this fee as part of their award. Site Design by Celia Walshe. All material on this website is subject to copyright protection. All rights reserved. Please seek permission for any use.